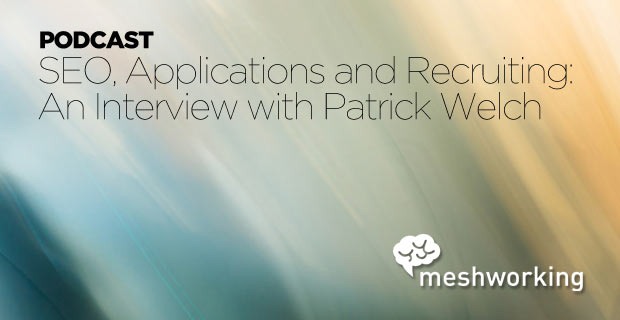 In the latest episode of the Meshworking Podcast, I talk to Patrick Welch, Digital Strategist and Analyst. In an example of looking at the forest instead of the trees, we talk about what he learned looking at more than 300 career sites, including how the number of published jobs has a massive impact on traffic and how different industries should expect very different conversion rates. While metrics are a factor, don’t be scared by the numbers. This conversation is completely understandable, even if you spent ninth grade hiding from your math teacher.